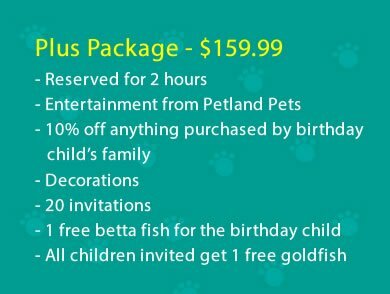 What better place to have your child’s birthday party than Petland Iowa City? 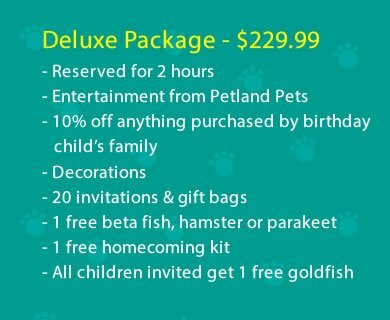 Let us help you celebrate your child’s special day at Petland. We set up, decorate and direct all the party activities. We even clean up afterward! 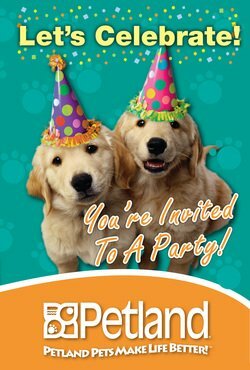 Of course each of our Birthday parties will include entertainment from our famous Petland pets.